The Chicago Community Trust tapped the communications expertise at Jasculca Terman Strategic Communications to not only elevate the trust’s visibility as a grant-making organization, but to emphasize the community foundation’s deep commitment to the Chicago area and its residents. The Wing Luke Museum of the Asian Pacific American Experience partnered with Copacino+Fujikado to drive attendance to its Bruce Lee exhibit. Despite Purple Purse’s previous success in educating victims of financial abuse, the campaign needed to be bigger to make it easier for victims to get the resources they need. All the finalists will be celebrated—and the winners will be announced—at the Platinum PR Awards luncheon on Oct. 26 at the Marriott Marquis in New York City. 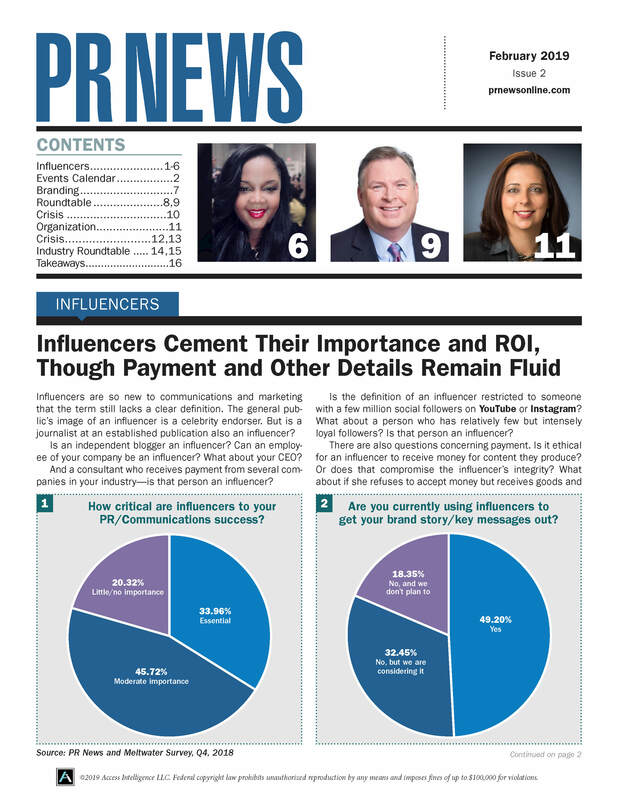 Many in-house PR pros have developed tools to link their performance to revenue goals. But how do you elevate the function of PR within your organization when you operate in a non-commercial sector? The UN Foundation’s partnership program for media engagement offers tips that can serve as a model for nonprofit groups looking to share their story with a wider audience. Before they pull the trigger on expenditures, nonprofits have to make sure they’re a worthy investment. Hiring a PR agency is no exception. The cause of science, technology, engineering and math, or STEM, is being embraced by a growing number of groups, including scientists and inventors.